than a shower beer, just for me!! But when I do, it’s in the shower. It’s gonna be a great weekend, y’all. Love a good shower beer. 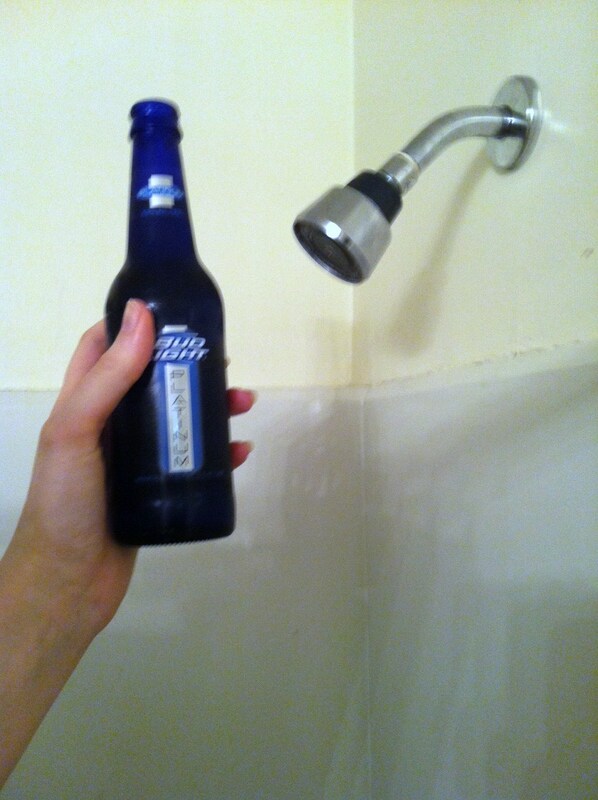 Beer in the shower = bower? No? I have no idea, but when I’m training for a race in the summer, anything over 7 miles usually warrants a shower beer. I think any time that I remember to drink a beer in the shower warrants a shower beer. Beautifully said! Have an AWESOME weekend! Ok, this post just cemented my love for you. And shower beer. Ha! Have a great weekend and can’t wait to hear about the imminent shenanigans! Oh Jordan, I swear – if the planets ever align and allow the crazy connection to happen.. We would be best friends. Hahaha! Sounds like the start to one hell of a weekend! haha oh Jordan, this made me laugh! I love shower beers!!! I have to admit, it is a very rare occurrence, but it’s always the sign of a good day/night. Agree, only for special treats. Like weekends. Or REALLY fun Tuesdays. Shower beers. Man, I miss those. “I really need to get ready, but I also really need a beer.” They are the perfect solution. That’s the best reasoning behind a shower beer I’ve EVER heard. I love it.